It is claimed that tropical cyclones are the most feared weather phenomena to affect Australia. Their destructive powers pose immediate threats to the lives of those in their path, cause extensive property damage, and have long lasting implications for local communities. They are a major feature of Queensland life. A cyclone is a large rain storm characterised by inward spiralling winds. The winds (approaching 300 km per hour) flow clockwise in the Southern Hemisphere and counterclockwise in the Northern Hemisphere. Severe tropical cyclones correspond to the hurricanes or typhoons of other parts of the world. The warm waters of the Pacific Ocean, particularly in the Coral Sea, provide ideal conditions for the formation of cyclones between the end of November and early May. 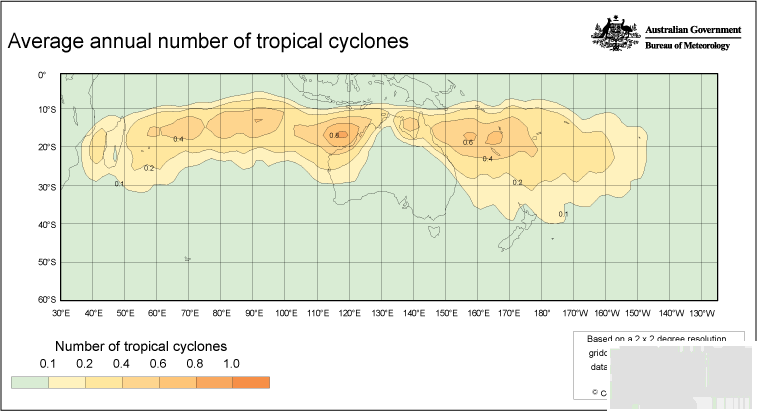 In the average cyclone season, 10 tropical cyclones develop over Australian waters, of which six cross the coast, mostly over northeast Queensland (between about Mossman and Maryborough) and northwestern Australia (between Exmouth and Broome). While having the potential to cause extensive damage, tropical cyclones bestow upon many parts of northern Australia a significant proportion of their annual rainfall. Cyclones are associated with highly destructive winds but often the accompanying storm surge, an increase in the water level above regular tidal flows, causes major damage. 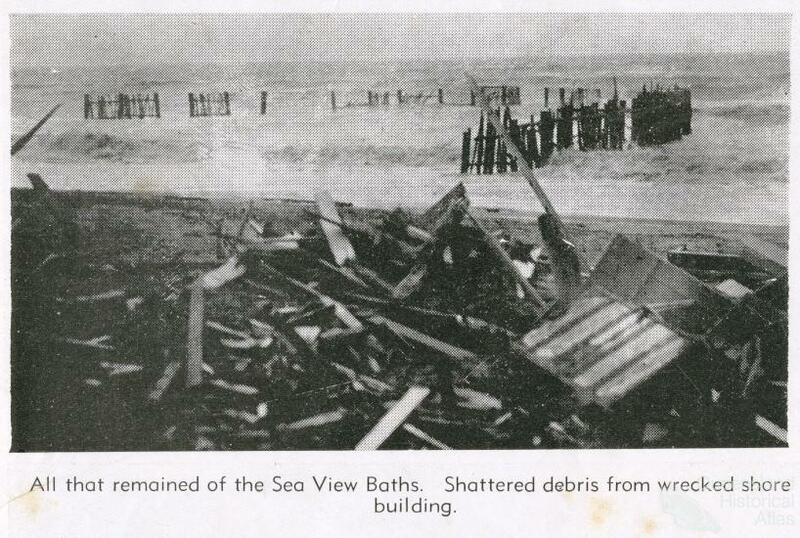 The severity of storm surges was evident in 1899 when Cyclone ‘Mahina’ struck Bathurst Bay killing 307 pearl divers and sailors and an unreported number of Aborigines. Contemporary oral evidence and early scientific estimates placed the height of the accompanying storm surge at 42 feet or 14 metres. Alongside storm surges, torrential rain can devastate local agriculture, inundate and isolate communities, and destroy what remains of buildings damaged by high winds. 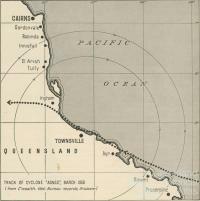 The earliest recorded attempt to prepare Queenslanders for a cyclone was made by J.D. Switzer in 1889 who offered his extensive seafaring experience to advise ship captains how to avoid the ‘circular storms’ prominent in Queensland waters. 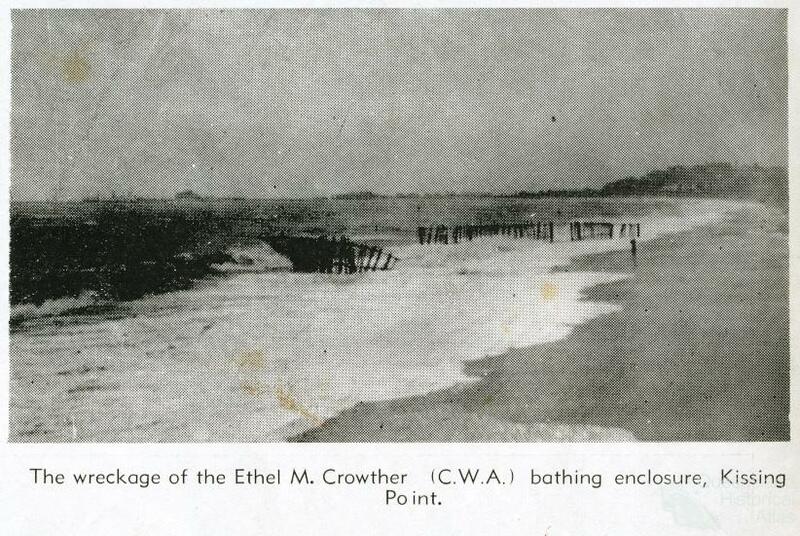 However, the ability to detect, track, and warn coastal communities about storms remained limited until World War II brought significant technological advancements including advanced radar to track storms. 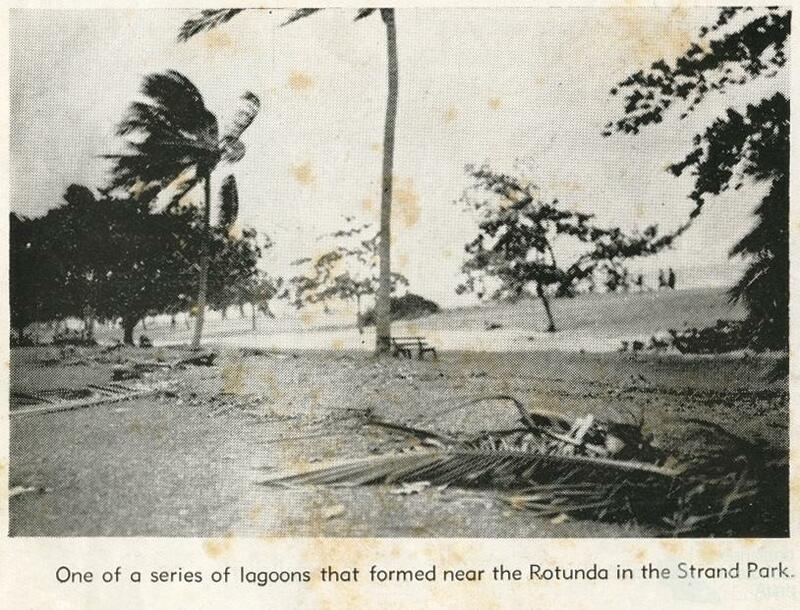 Since then a range of technologies including automatic weather stations, satellite tracking, and sophisticated computer modelling have allowed improved forecasting and tracking of likely cyclones. Details of a cyclone can be communicated by radio and television before power fails. 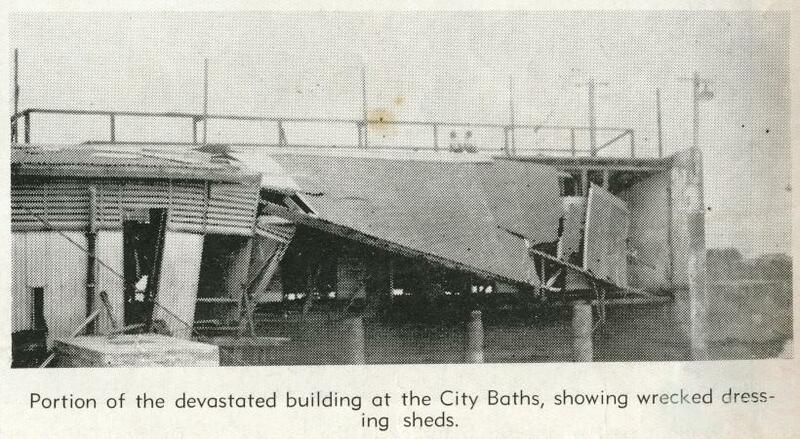 Even so, a 1970 report found that residents around Proserpine still favoured the age old system of flying cyclone warning flags from prominent buildings in the area. The life-threatening wind and torrential rain has been described as a ‘cold wet hell’. Witnesses often describe the conditions before a cyclone as being eerily calm, with little wind. This calm is short lived. Rapidly dropping barometric pressure and a noise that sounds ‘like an express train bearing down’ signals the cyclone’s approach. As wind and rain relentlessly persist the lives of those in the cyclone’s path are threatened. 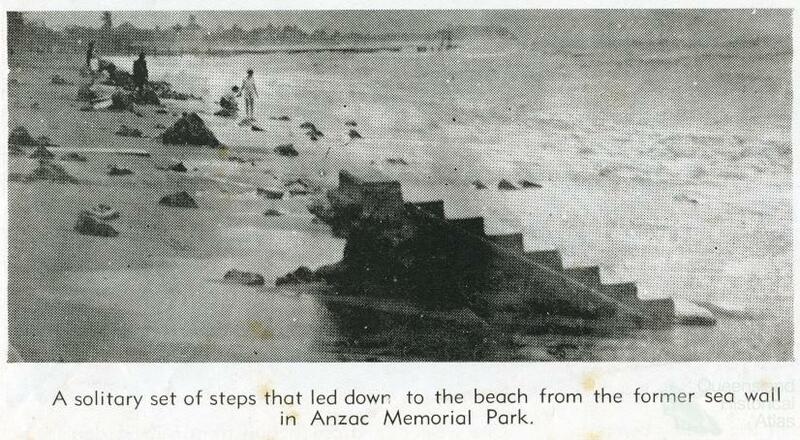 The lighthouse keeper on Flat Top Island near Mackay feared that he and his family, together with the building they were sheltering in ‘would be hurled bodily into the sea’. The threat of structural collapse meant the State Emergency Service (SES) had to rescue five people from Dalziel’s café in Babinda at the height of the 1986 Cyclone Winifred. For survivors of a cyclone the psychological effects of their experience may be long lasting. When a Japanese pearl diver named Seto finally struggled ashore after swimming for six hours after Cyclone ‘Mahina’ the experience meant his ‘over-wrought nerves gave way, and he became unconscious’ for several hours. A James Cook University study in 1991 of survivors of Cyclone ‘Winifred’ found up to one third of respondents admitted suffering from psychological effects including ‘shattered nerves’, ‘worries’, and ‘fear of storms and future cyclones’. While the loss of life and property as a result of a cyclone is devastating, after it passes the catastrophic events are invariably subsumed by a need to rebuild local communities. The first thoughts of many survivors are of their fellow residents. 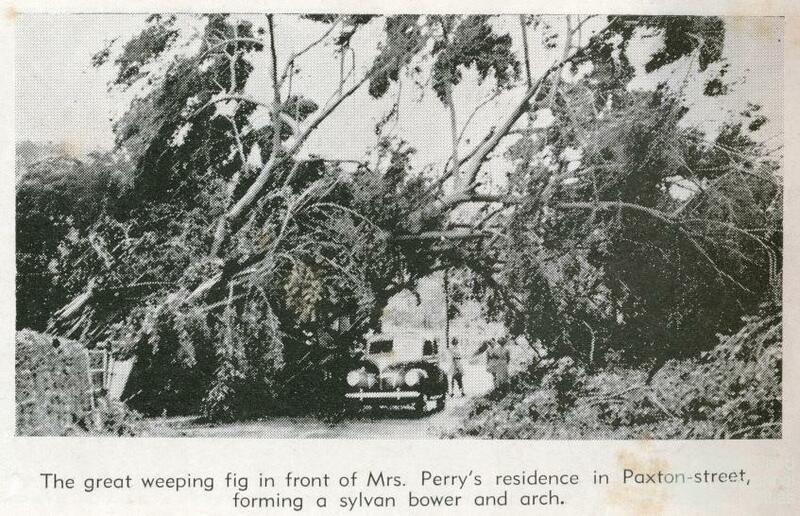 As soon as Bowen’s 1960 Cyclone ‘Anonymous’ had dissipated, George Burgher was ‘worried about my neighbours and wanted to go and see how they were faring’. 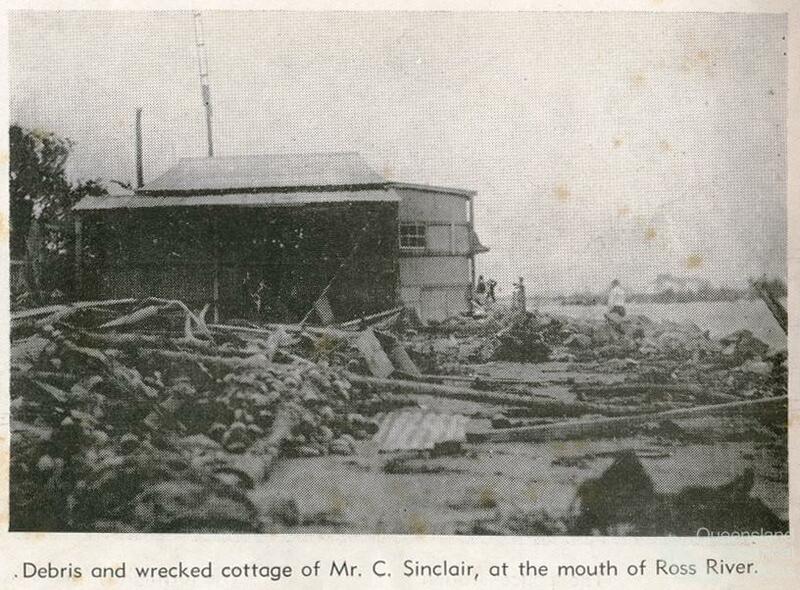 Burgher’s testimony reflected the community spirit of many small towns hit by cyclones. Following Cyclone ‘Winifred’ neighbours reported scores of impromptu barbecues on the nights after the cyclones as the lack of electricity meant frozen meat would spoil. 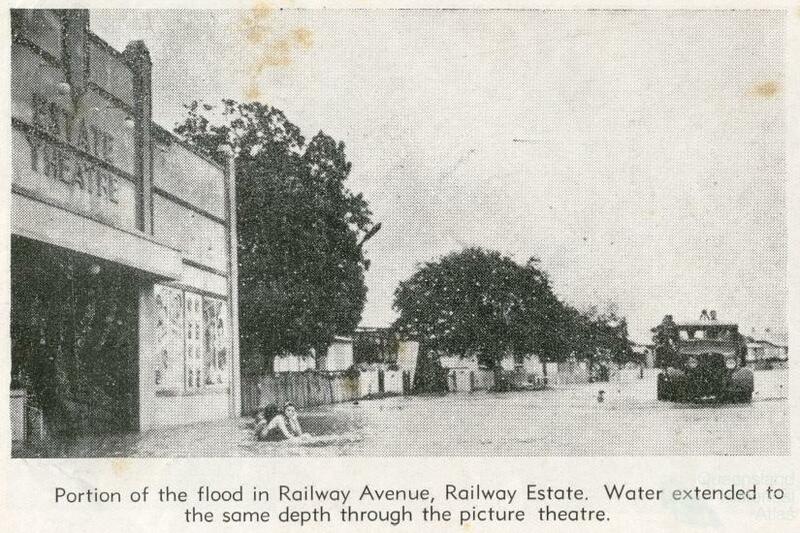 Before the formation of the SES, local committees often formed to make emergency repairs and direct local relief efforts in a cyclone’s aftermath. Re-building was not always an easy task, and financial capital to rebuild churches and schools was difficult for residents in the wake of personal losses. Heightening the need to rebuild was the reliance of many cyclone-ravaged communities on local primary industries which were often devastated by cyclonic activity. Severe Tropical Cyclone Larry crossed the tropical north Queensland coast near Innisfail during the morning of Monday 20 March 2006 as a marginal Category 5 cyclone. No lives were lost and no serious injuries were reported, however, damage to infrastructure and crops was extensive with the total estimated loss upwards of half a billion dollars. After Cyclone Larry banana prices jumped a staggering 250 per cent contributing to inflation and interest rate rises across Australia. The cyclone plays a significant cultural role and is a totem for the Jirrbal people of the rainforest near Tully. Babalmurri, cyclones, are 'talked up' from two sites, nyanyjaymi, places their spirit comes from on their own country. Storms can be created from the rocks at Bellenden, and larger storms and cyclones from the bottom of the Davidson Falls. The bottom of the falls is dangerous, only gijjuns, big water lizards and bungaru, tortoise may walk there with safety, and it remains taboo unless accompanied by a senior Jirrbal law man. If any of the sacred earth near this site is deliberately disturbed and falls into the Gorge, a cyclone will be created. The sight of a garamgaram, silver gull, flying from the coastline inland towards the mountains, indicates to the Jirrbal people that the cyclone is coming. Radio is the sole connection to the outside world for many Queenslanders during cyclones, floods and bushfires. A portable battery operated radio is an essential part of an emergency kit. Listening to the local radio station is a vital and at times lifesaving activity, not merely a source of entertainment. Emergency services use local radio stations to broadcast road closures, fire locations and movements, evacuation areas and flood levels. They use radio to advise when and where power will be restored, and provide details of the path and wind velocity of approaching cyclones. 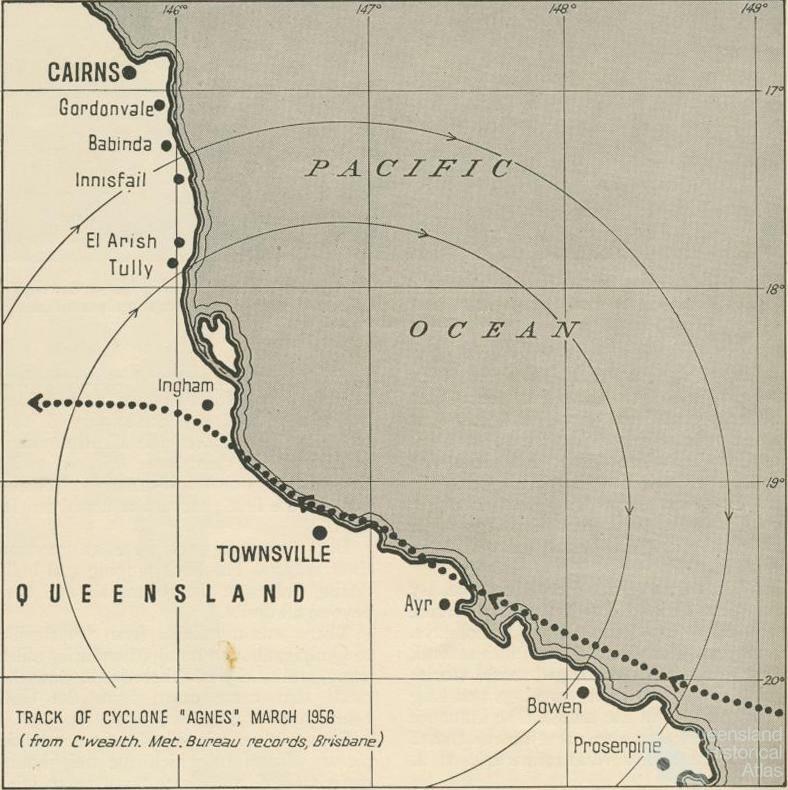 The practice of naming cyclones, first introduced by Queensland Government Meteorologist Clement Wragge in the late nineteenth century, lapsed with his retirement in 1902, but was re-introduced by the Bureau of Meteorology in 1963. Initially, cyclones were given female names, but from 1975 Australian cyclones were allocated both male and female names. That wind, Fay Donolly was thinking as she woke, it was like a spiteful bird, swooping down and lifting away. She saw it as a brown sea-eagle, poised somewhere in the void above the house, watching with baleful eyes for a chance to strike in earnest. Now it was still as death, now it made a show of dropping for the kill. And the screech of its wings, as it swept down, stopped the heart for a moment, so that it started again with a flutter.